Call us today at (732) 613-9898 to schedule your ride! Many seniors and disabled individuals have trouble finding free transportation to dental appointments, which prevents them from receiving the care they need. This issue has become increasingly apparent to us in recent years. To help eliminate this problem we are now providing free transportation services to our dental patients in our new specially equipped 2017 Toyota Sienna van. As designated caregivers, many adults are looking to help their loved ones get the medical care they need. We recognize that it can sometimes be difficult to juggle family schedules and caregiver responsibilities. By offering our very own senior citizen transportation service, we hope to lessen your burden when it comes to making sure your loved ones’ smiles are taken care of. By offering this service, we can ensure that our new and existing patients will always have a safe and affordable way of making it to and from their appointments. Guests will ride in style in our 2017 Toyota Sienna van, which is equipped with an Auto Access Seat for those who need physical assistance with getting in and out of the vehicle. Old Bridge Dental® wants to help people find their smiles and our team is always working to discover new ways to do so. Our goal for all our patients, young or old, is to detect and prevent dental issues before they become problematic. We are happy to schedule complimentary rides to and from our practice on Tuesdays and Thursdays. 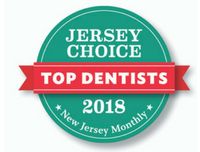 If the missing link in the path to optimum oral health (for either yourself or someone you know) is transportation, give us a call today at (732) 613-9898 to schedule your ride!